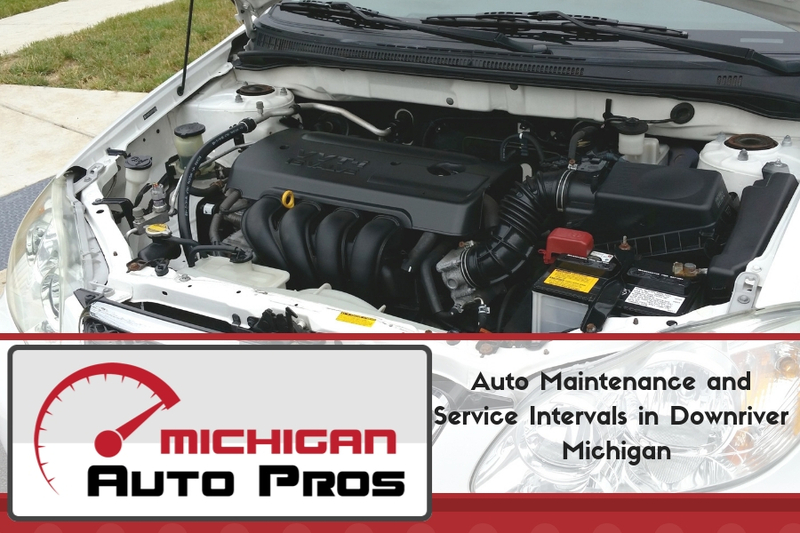 When it comes to auto maintenance in Downriver Michigan, nearly all manufacturers outline the service intervals for you. Some cars even have onboard computer systems informing drivers when maintenance is due. Every make and model on the road today will require maintenance of some kind in order to maintain roadworthiness. Whether you’re shopping for a new vehicle and trying to asses all the associated costs, or you’ve simply been informed that your car is due for service, it helps to understand service intervals and how they play into auto maintenance. Let’s be frank –tune-ups are auto maintenance. The term tune-up ­is one of those that still lingers despite best being left to a bygone era. When cars were simpler and less computerized, tune-ups were done as preventative maintenance but often at an arbitrary interval or simply at the whim of the driver. While any maintenance is better than none, today’s cars are much more advanced while simultaneously eliminating much of the guesswork when it comes to maintenance. To recap; tune-ups are auto maintenance but be sure to verify the services being performed if you’re told a shop is going to perform a tune-up. If you’re unsure what a service is or why you’re due for it, ask. Manufacturers often cite 15,000 miles as the point of the first major service. In reality, this largely consists of checking the fluid levels, changing the oil, replacing air and cabin filters, and probably inspecting your brakes as well. If you’ve brought your vehicle in for any maintenance, there’s a good chance these points have already been inspected. Large (often the largest) scheduled maintenance jobs come at 30, 60, and 90 thousand miles. Most manufactures place their largest jobs at these intervals. At these intervals, the common points (oil, filters, etc.) will be examined and replaced accordingly, but often overlooked areas like drive shafts, timing and accessory belts, and the exhaust system will be serviced as well. These are areas that if left neglected can turn into tremendously expensive repairs down the road, and possibly jeopardize the safety of the driver. The points of inspection are generally underscored in your owner’s manual. Large services can (unsurprisingly) be expensive, but they’re easier to prepare financially for if you understand what is going to be performed ahead of time. Just because your car isn’t due for a major service doesn’t mean smaller jobs should be overlooked. Brakes – Pads and rotors are consumable items. Fluid wears out. Calipers can stick. Fortunately, automotive manufactures have outlined for you when they recommend you bring your car in for brake service. Furthermore, brake jobs are generally not very costly or time consuming, provided you’ve been following the manufacturer’s recommended service intervals. Belts – If your car isn’t due for any major service, but your technician suggests new belts, it is best to heed his warning. Belts generally refers to the timing belt and the serpentine belt. Should the timing belt break, catastrophic engine damage will occur. If the serpentine belt ceases to spin, you’ll lose many of your car’s ancillary systems – including power steering. Fortunately, the manufacturer of your car will have laid out approximately when these belts need servicing so you can prepare. Filters – Generally this includes the cabin and air filters, but sometimes it will also include the fuel filter. A clean air filter is critical, so it’s best not to let this go overlooked. The service life of your air filter will be mentioned in the owner’s manual. The cabin filter isn’t essential to your car’s wellbeing, but if you drive in a congested, dusty, or heavily polluted area, then it’s likely you’ll appreciate breathing the clean air provided by a fresh cabin filter. Oil – Probably the most famous piece of auto maintenance, the oil change is also one of the most frequent. While there is debate over the frequency with which an oil change should be performed, few will argue its importance. While some oils can exceed manufacturer-recommended intervals, it’s best to stick with what the manual suggests if you’ve any doubt. Oil changes are relatively cheap insurance against the life of your car. When an oil change is performed, the cost will almost always include a replacement oil filter as well. Tires – Tires have varying service life and are often inspected visually. All cars ship with a tire which the manufacturer specified as original equipment. If at any point you changed your tires to something else, whatever data may be in the owner’s manual is now largely irrelevant. When having your tires inspected, a technician will measure tread dept and notify you if you’re reaching the minimum serviceable tread. Tire pressures will be checked, and they will generally be rotated to promote uniform wear. Although service intervals take much of the the guesswork out of automotive maintenance, you should be aware that they are merely a reference point. These intervals are most accurate for drivers who enjoy normal to ideal driving conditions. If you frequent rural, gravely backroads, drive in snow and sleet, or take your car to the track every other weekend, you can expect diminished service intervals. Also, should you have the luxury of owning, say, an exotic Italian sports car, you can expect much shorter service intervals across the board. The maintenance outlined in this article applies largely to traditional commuter cars. 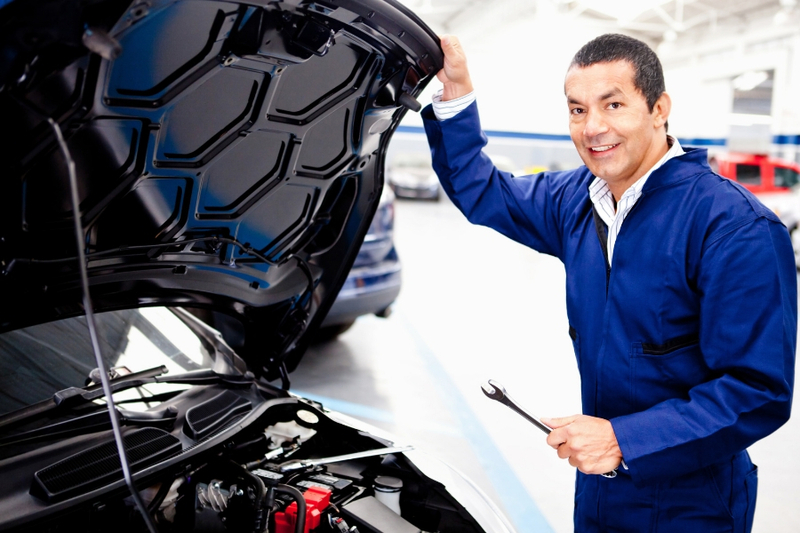 At Good Care Auto we specialize in all types of automotive maintenance, from common to complicated. We employ a team of highly trained and ASE-certified technicians, working with the latest diagnostic and repair equipment. Give us a call at (734) 285-1188 and let Good Care Auto handle all your auto maintenance needs!